Can there be anything worse than opening the door to your pride and joy to find there’s been a bit of a party in your absence… and the place has been trashed? They might be little, but vermin like mice can cause a lot of damage in a short space of time. The good news is, it seems cases of vermin in caravans wreaking havoc are on the decline. That could be down to better manufacturing methods as well as greater care by owners. Also, to save you trawling through your touring caravan insurance policy booklet it’s important to note that vermin is not covered under our policy and having been through policy booklets of our leading competitors, it seems to be general exclusion. So we thought it was a good idea to issue some advice here. Luckily, at Caravan Guard we don’t hear of many instances of caravans being severely damaged by vermin. However, it does sometimes occur so we hope the following information lessens the risks even further. If you’re planning on leaving your caravan in storage for a while and want to make sure nothing too untoward happens, there are plenty of precautions you can take to make it all the more resistant to vermin. Why do mice like caravans? There’s no doubt a cosy caravan offering a ready supply of food and a safe place to sleep can be an attraction to creatures like mice. Getting into a caravan that’s not been used for a while can be easy for such creatures, too. Both health and safety are at risk here. Health, because mice and rats can carry disease. And safety, because the action of gnawing through things like wires just might cause short-circuiting and even the risk of starting a fire. If you’re putting your caravan into storage, it’s worth knowing official operators have to abide by regulations set by the likes of the Damage by Pests Act 1949, Health and Safety at Work Act 1974, Food and Environment Act 1985 and Control of Pesticides Regulations. 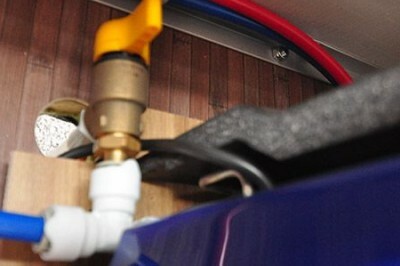 Look under your caravan and you might see gaps where pipework enters the main body. If there are gaps, no matter how small, use an appropriate sealant to fill. 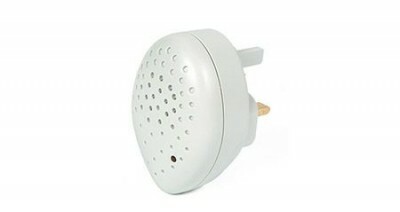 Do not block off completely any holes near gas pipe joints. Instead, use a fine mesh. Some older caravans had plastic mesh in such instances. Mice will happily chew through plastic, anywhere. Consider replacing with metal mesh. Note, also, your caravan is designed to be well ventilated. Restricting air flow may build up other problems such as condensation damage to the interior. 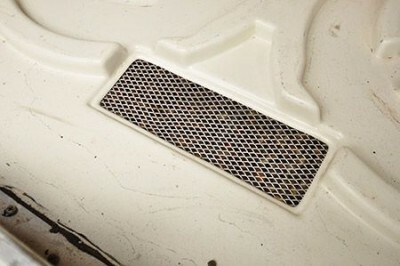 Ventilation gaps between the exterior front locker and the main body of the caravan are often where mice get into the living area. Again, advice is not to block these altogether, but to fit a metal mesh. If you’re planning on storing your caravan for a long period, remove as much as possible in terms of cushions and soft furnishings, including seat/bed cushions which could be good nesting materials for mice (in turn, taking away such items also makes your ‘van less attractive to thieves). Storing at home in the dry is ideal; it’s also an ideal time to get them cleaned and prepared for the touring season ahead. Definitely remove any bedding etc. Remove also any paper, including toilet and kitchen rolls. And food, especially packets of dried foods like cereals, rice and pasta, even dried pet food, will attract vermin. If you want to keep foodstuffs on board, consider metal containers rather than plastic – the latter can be gnawed through. A thorough “spring clean” of your ‘van before you put it into long-term storage is also a good idea. General advice is not to stow your caravan in high grass, where vermin may already have established runs. Do they get in via corner steadies? One solution suggests putting the steadies in bowls of oil. Keeping your caravan at home? Why not let your cat pay occasional visits? Mouse traps won’t act as deterrents, of course. Setting them is all very well (chocolate and peanut butter, rather than cheese, seem to work well as enticements), but that’s the caravan equivalent of bolting the door after the horse has disappeared, only in reverse. Other, humane killers are available and, again, suggestions vary from mothballs to tumble dryer sheets. If you do decide to use poison, make sure that you complete the full recommended treatment. If not, the mice may recover and become resistant. The jury seems to be out on the efficacy or otherwise of ultrasonic repellents like this. It’s one of a number of similar products from Martley Electronics and, powered by a PP3 battery, which is reckoned to work for up to six months, it produces an ultrasonic sound that’s inaudible to the human ear. 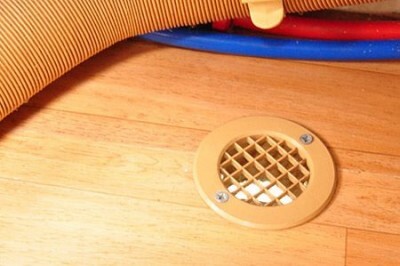 Mice in caravans is a much debated topic among owners online. Go Google. But, do check the dates of those discussions. 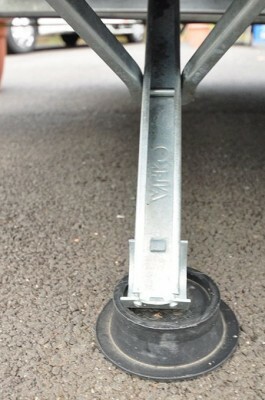 Got any hints and tips you’d like to pass on to fellow caravan owners regarding preventing damage from vermin? Please add a comment below. 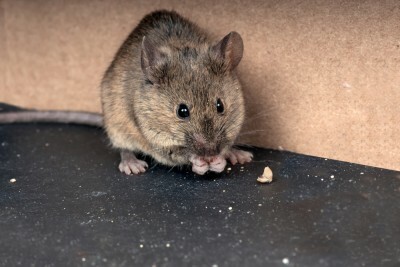 I had a mouse get into my caravan while in storage , it eat the first aid box kitchen roll sponges and ear plugs but it didn’t do too much damage so I felt lucky if I was a mouse I would get inside a van if I could. Re.peppermint oil as a deterrent I’ve found that WD40 is pretty effective too. After an episode with a rat under the bonnet of my car and a mouse in the bottle box of our caravan I’ve sealed gaps as per previous posts and sprayed around gaps and around the steadied. Seems ok fingers crossed. Fill any gaps you find with wire-wool. Easy to fit into spaces and the vermin cannot chew through it. Tip from pest control officer! We have had a problem with mice in our attic, and as well as blocking up all gaps with mesh, using an ultrasonic device , putting all possible bedding material in plastic boxes, we are using peppermint oil on cotton wool. Refresh weekly, seems mice don’t like the smell. As an added bonus, our attic smells lovely to us anyway! I had a mouse decide to make a temporary home in my old caravan in some plastic sheeting . I read that mice detest the smell of peppermint so I left cotton wool balls splashed with peppermint aromatherapy oil in under bed storage areas and under the sink and had no problems after that. Great tip Deana. Thanks for your comment.